Currently, the demand on thermal comfort of architectural environment is becoming higher and higher, the establishment of thermal comfort model based on the physiological parameters plays an important role in improving the indoor thermal comfort and building energy efficiency. The mean skin temperature, skin conductance, and heart rate are three main physiological parameters used to characterize the thermal comfort state of the human body, which will be of great significance to establish the thermal comfort model. In this paper, the physiological experimental program was designed in detail and the subjective questionnaires ruler was classified involving thermal sensation, thermal comfort, and sweat rate. Then, the human subjective thermal response distribution and the regular pattern were analyzed according to the vote on the state of thermal comfort and physiological parameters of subjects under five experimental conditions. As a result, the multiple physiological modeling of indoor human thermal comfort was performed by using partial least squares (PLS) method based on mean skin temperature, skin conductance, and heart rate. Furthermore, the experiments aimed at evaluating the accuracy of the established indoor human thermal comfort model were performed, the results indicate the accuracy of the established model is satisfactory. This research was funded by the National Key Research and Development Program of China (2017YFC0704100) and the Natural Science Foundation of Anhui Province, China (1508085QF131) and the Major Project on the Integration of Industry, Education and Research, Institute of plasma physics, Chinese Academy of Sciences, China (AJ-CXY-KF-17-36). 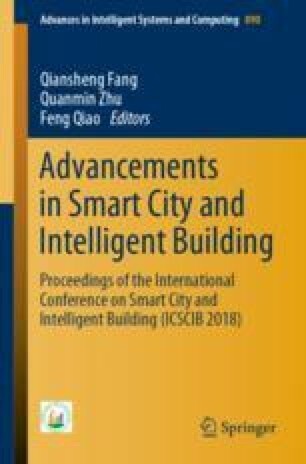 This study has been conducted with ethics approval obtained from the ethics committee: Prof. Yinfeng Zhu of the Department of Electronic and Information Engineering, Anhui Jianzhu University, Hefei, China. Participants are recruited from Anhui Jianzhu University, Hefei, China, and all participants have given their consent to use the dataset and disclose information relevant for research in this study.